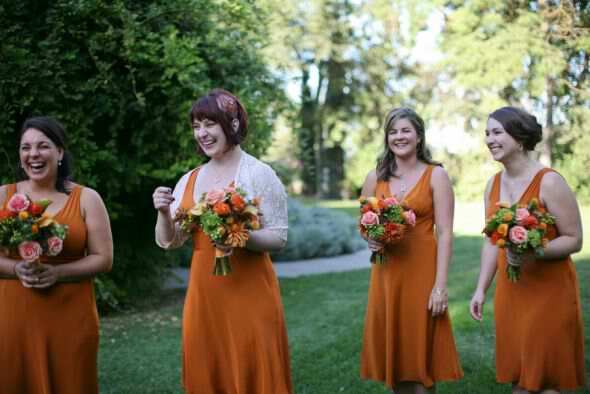 Fall can provide a beautiful backdrop for your wedding as well as a robust range of rich colors for you to choose from when making decisions for your wedding. Though it’s not the most popular of seasons, you can find a way to make this fall or the next your own by incorporating as much of it into your fall wedding as possible(without over doing it of course). This earth tone color is both rich and warm, and it brings about the thought of bare tree branches and crisp leaves underfoot. Brown is also flexible, as its wide variety of shades can complement any skin tone. Green is also a great choice for your fall wedding because you can pick from many different shades of the color in order to bring the outdoors inside on your big day. 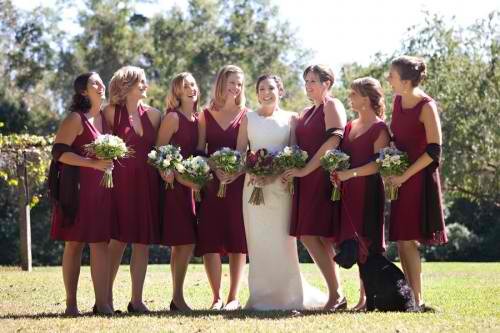 Burgundy is a vital color to any fall back drop, there for it is crucial to your wedding plans. This rich shade of red is the perfect image of fall and all of its richness and comfort. Orange is another vital color to the fall back drop. The warmth of this color reminds you that winter hasn’t dried up all of summers beauty just yet. How perfect would that reminder be as a part of your wedding day? Fall colors are by far the most beautiful and rich when incorporated into any wedding.A combination of some of these colors have the ability to add an extra pop to our wedding decor. This entry was posted in Uncategorized, Wedding Advice & Tips, Wedding Decor, Wedding Details, Wedding Flowers, Wedding Planning, Wedding Style and tagged bridal, bridal gowns, Budget & Finance, Layne Corban, Wedding Day, Wedding Details, wedding dresses, wedding gowns, Wedding Planning, Weddings. Bookmark the permalink.